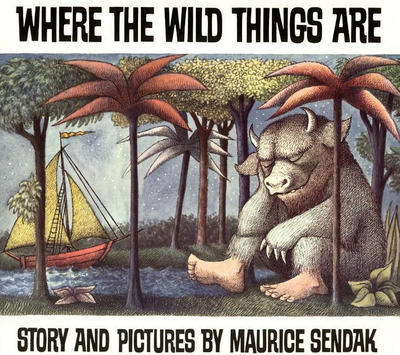 First published in 1963, Where the Wild Things Are by Maurice Sendak is one of the most iconic books of my childhood. Not because I was given it, because I was ten years old when it was published, but because my little brother was given it, and I read it aloud to him and my little sister. This was one of the books that taught them how to read. The art and philosophy of both Maurice Sendak and Dr. Seuss shaped my young life as an author and as a reader. It was through reading their wonderful works to my younger siblings that I developed my love of reading aloud. When you read aloud, you share the experience of the tale with another person, and their enjoyment of the tale increases your own. At least, that is how I see it, and to this day I enjoy reading a book aloud to my family. It was the mid 1960’s. My parents were a typical post-war couple. Dad was a disabled vet and worked as a draftsman, earning a good income, and Mom was an unhappy, bored housewife who hated being a stay-at-home mom. My maternal grandmother lived with us, and to say we lived in a pressure cooker, sometimes, would be an understatement. As the oldest one in that batch of kids, it was my job to entertain the younger siblings. I wasn’t always kind about it, but once I got into the swing of things, it was fun. In those days, TV was a privilege, not a right. We only had 3 channels, which were boring. But the best way for me to “keep those kids quiet” was to read a story, and we all loved stories with great pictures. 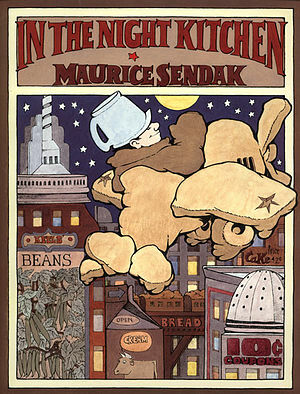 Maurice Sendak’s fun, fantastic art fired the mind, for sure. I still see very little television. I don’t have that connection, that invisible tether that others seem to have to the electronic mind-wipe device. I get quite bored with the predictable storylines and redundant catch-phrases that permeate the airwaves. Where the Wild Things Are is a song of childhood rebellion, just 338 words. It focuses on a young boy named Max who, after dressing in his wolf costume, wreaks such havoc through his household that he is sent to bed without his supper. (I did the same, many, many times–sans the wolf costume. Costumes were a bother, and were not encouraged in our house.) Max’s bedroom undergoes a mysterious transformation into a jungle environment, and he winds up sailing to an island inhabited by malicious beasts known as the “Wild Things.” After successfully intimidating the creatures, Max is hailed as the king of the Wild Things and enjoys a playful romp with his subjects; however, he decides to return home, to the Wild Things’ dismay. After arriving in his bedroom, Max discovers a hot supper waiting for him–which I never did. Being forced to be kind to my younger siblings didn’t hurt me at all. 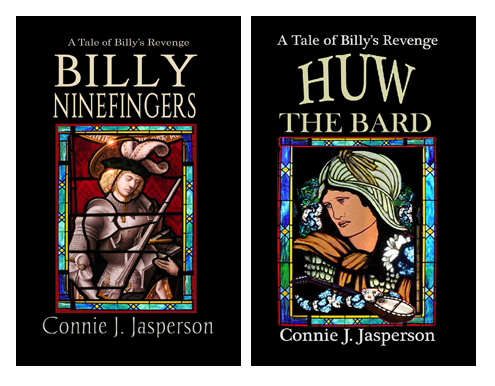 In fact it forged an alliance, three angry, rebellious children against the often capricious adult world of the 1960’s. When everything else was going to hell in our outwardly perfect world, we had each other, and we had our books. I always saw Where the Wild Things Are as an introduction to stereotyping because the terrifying monsters were kind and playful. That could blow a child’s mind, you know. More evocative for me was Michael Moorcock’s The Eternal Champion, the first volume of what became a major theme of his oeuvre. Average Joe is plucked from his mundane 60s existence and thrown into the body and mind of a demi-god summoned by the prayers of a populace on another world, called forth to fight for them against their perpetual enemy, another race. Once captured by that enemy, the Champion sees that his original employers are the bad guys and he switches sides. In my teenage mind, that hit hard: that the ones we always assumed were the good guys were actually the bad guys. 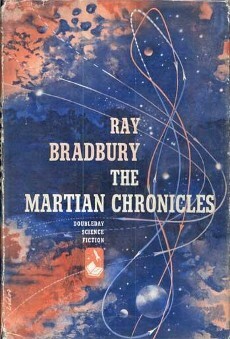 Now I can see that theme may have anticipated the movements chastising America, and the West in general, for events in history–which has no doubt grown to the present day when even as terrorists strike some ponder what “we” have done to cause them to seek revenge or compensation or to express their need for validation in their belief system. Endless apologies. It makes a good theme to hang a story on, especially if you can spin it into sci-fi or fantasy where the boundaries can be more flexible. 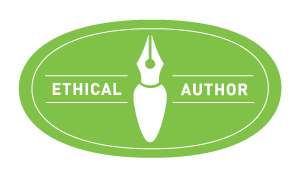 When I got the idea for what has now become my NaNoWriMo 2014 novel, I adopted a similar theme: the nameless, faceless bad guys turn out to be…[spoiler]…us. Now, to swing that around and give “us” good reasons to act as we do in the story, given that it is set in the near future. But I’ve said enough. Children’s books. Scarred for life by messages and motivations. Or we become writers of the same. For those who do not know: The Eternal Champion is a Hero who exists in all dimensions, times and worlds, is the one who is chosen by fate to fight for the Cosmic Balance. However, he often does not know of his role, or, even worse, he struggles against it, never to succeed. (I have used this very premise in my Tower of Bones Books)(Soon to be re-released. end of shameless plug.) Michael Moorcock’s eternal champion is a recurrent feature in most of his books, but was first published as a book in 1970. Although ‘The Eternal Champion’ lacks the popularity of other books by Moorcock, especially the Elric series, The Eternal Champion is a key text in the mythology of The Multiverse. And that casual rearranging of our preconceived notions is what I think I loved the most about ‘Where the Wild Things Are.’ But I was always the rebellious child, so it’s not surprising that rather than scarring me for life, it encouraged me to look beyond the obvious! Loved this book as a child—and of course, love reading aloud to my ten-year-old! Yes–reading to the kids is a joy!